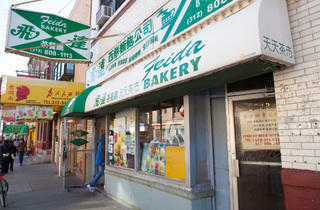 A diminutive, cluttered shop front and no-nonsense employees give Feida a rough-around-the-edges charm. 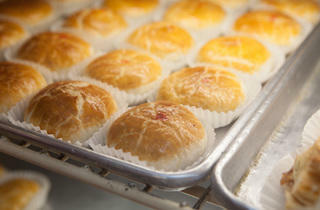 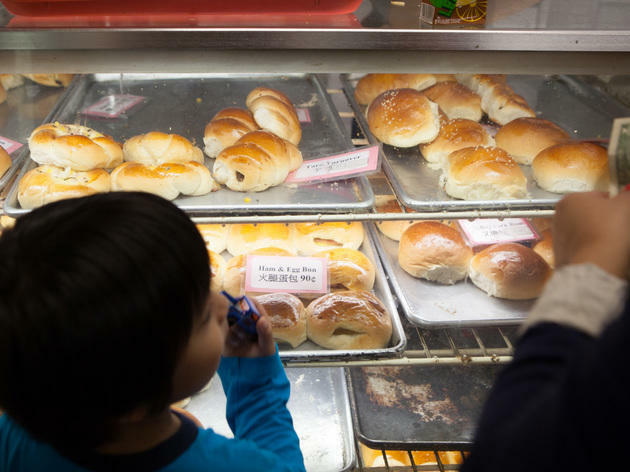 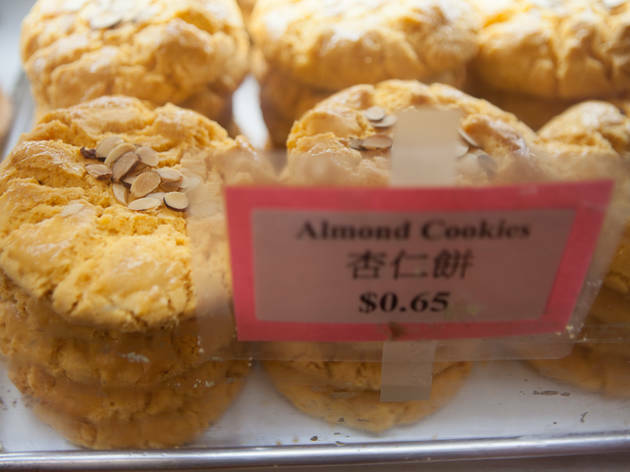 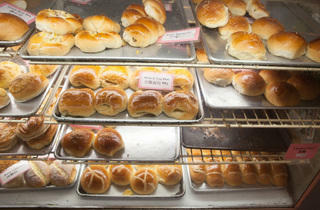 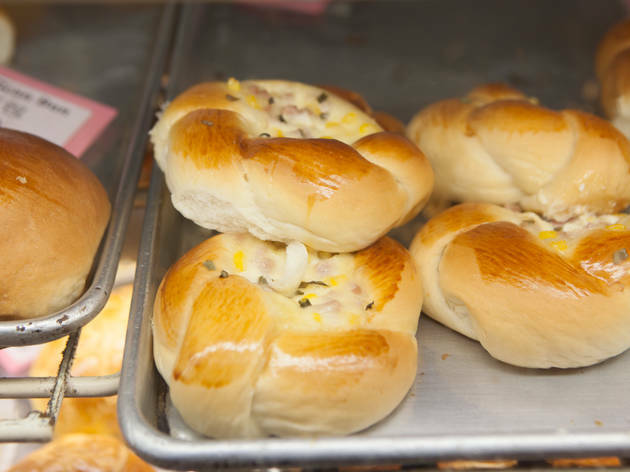 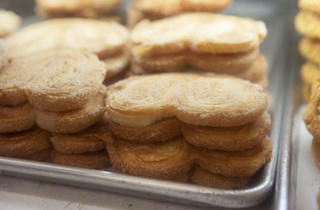 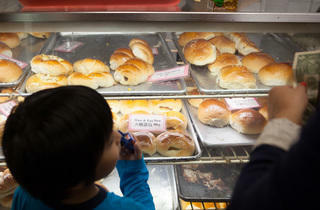 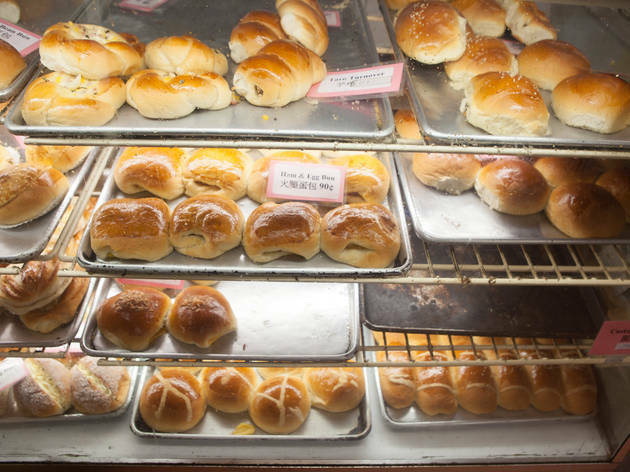 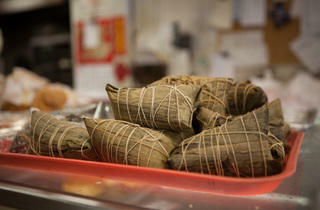 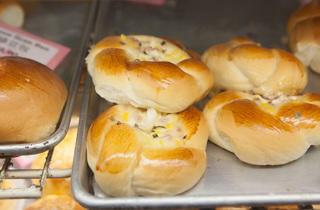 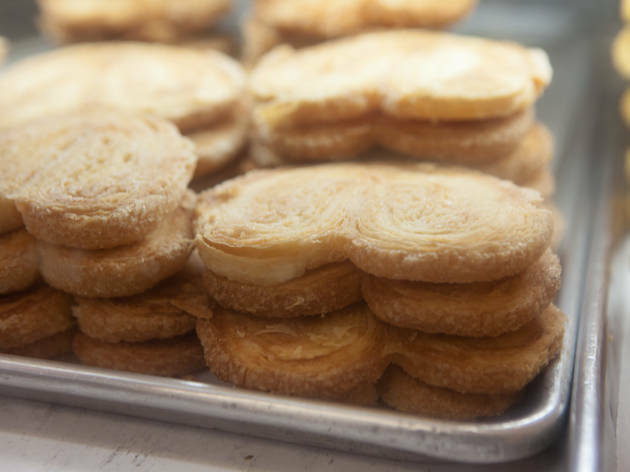 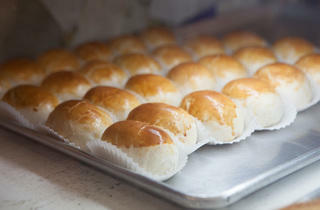 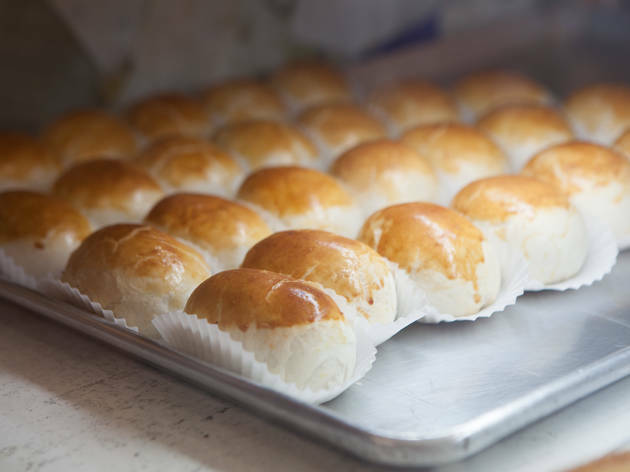 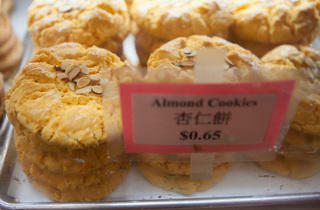 Skip the ho-hum Western-inflected cakes and tarts and sample the shop’s traditional Chinese treats. 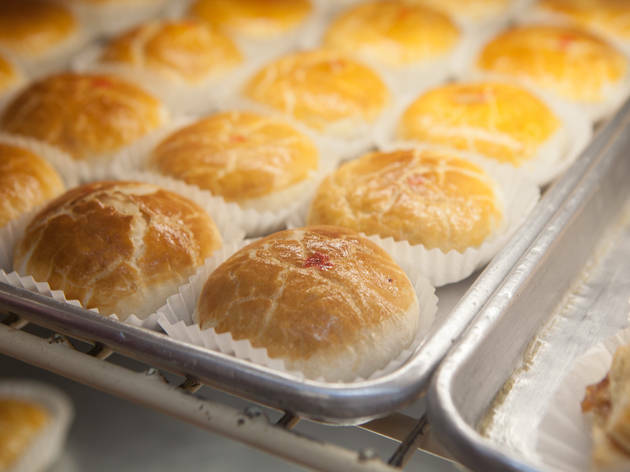 The intricately embossed baby moon cakes (.75), available in red bean paste and lotus seed varieties, are every bit as adorable as they sound. 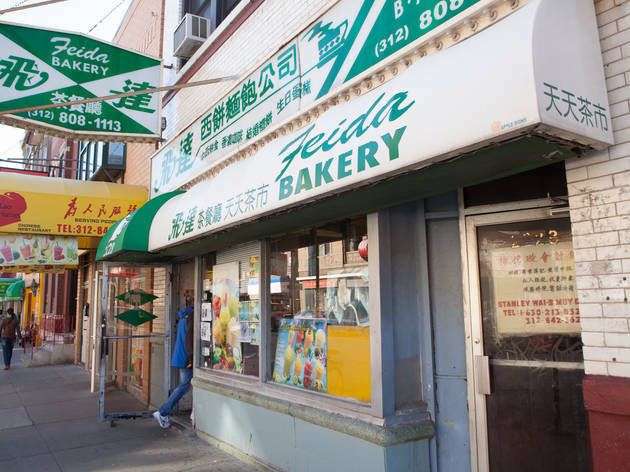 Another good bet is Feida’s winter melon cake (.85), a Cantonese specialty consisting of a disc-shaped, super flaky pastry shell wrapped around a faintly gummy mixture of glutinous rice and candied winter melon, a mellow, gourd-like Asian vegetable. 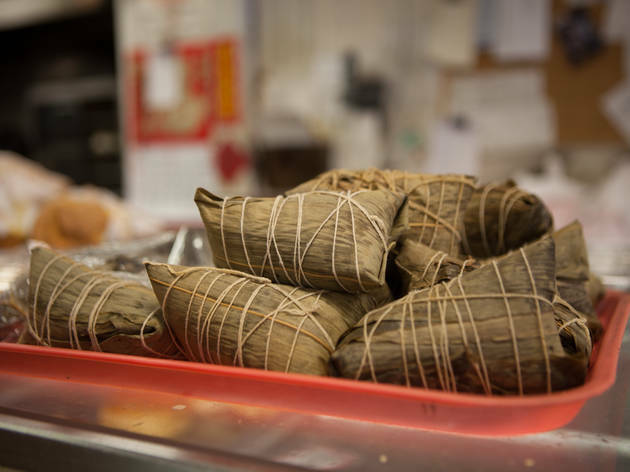 El stop: Red to Cermak-Chinatown.